Rand joined ACI Mechanical in 2003 as a Director of Building Services. 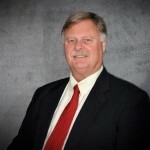 In 2010 Rand took over the General Manager position of Comfort Systems USA Midwest. Prior to joining ACI Mechanical he owned and operated his own HVAC company in Nebraska. In his free time Rand enjoys caring for and maintaining his acreage and the occasional round of golf.